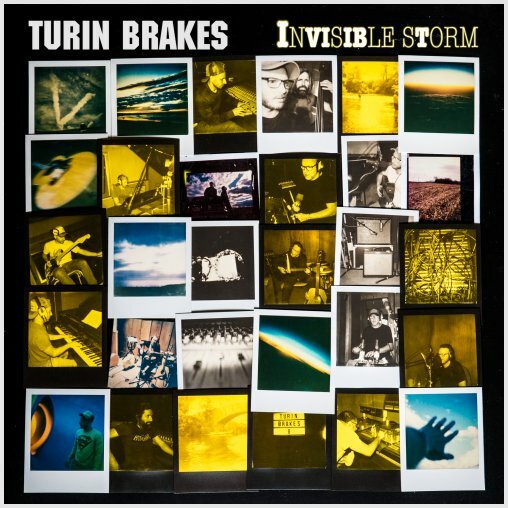 Let’s count ourselves lucky when it comes to Turin Brakes singles. We got some really great tunes in recent years, including Keep Me Around and Time & Money from the recent albums. Wait is another song in that tradition, distilling much of what there is to love about Turin Brakes in a package that lasts less than three minutes yet has an appeal that lasts for much much longer. I know this, because alongside some lovely other fans I was part of the video shoot for the new single. This means that not only did we get to hear the new single, we got to hear it for almost 5 hours straight. And yet, after four hours I found myself noticing things I didn’t notice before: synths in a place I didn’t realise, slightly different chorus lyrics and hand claps where I didn’t hear them before. Wait is indie pop at its finest, with catchy lyrics and a groove that it’s impossible NOT to dance to. This is reflected in the music video, which you can watch below. I count myself lucky to have been part of an absolutely fascinating afternoon at The Horn in St. Albans. Directors James Miller (who previously shot Olly’s solo Bitten By The Frost video) and Rachel Knights (Olly’s wife who has shot many other videos for the band throughout they years) were not only a good sport with *certain* fans cracking stupid jokes and diva behaviour (sorry about that! ), they also did some fine fine work with the band and the group of fans. One of the highlights of the day was a spontaneous Underdog singalong. In a moment where we were waiting for the next take, Rob started playing the Underdog shuffle (as he calls it) on his drum kit. It didn’t take along for all fans to burst out in the classic tune and have a mighty singalong. Time will tell whether Wait will become a similar classic at live shows and of course our hearts and minds, but the song at least got a great start with a great shoot on a chilly Monday afternoon. Afterwards, it felt like we’d been at a Turin Brakes concert. Even though we had only heard one song. MANY TIMES. At 1.5x speed, and at double speed. And it was still so great. Thanks to the band and the directors for giving us fans the chance to be in a Turin Brakes music video. This is a dream come true for most of us and at least some fans who were absolutely gutted they couldn’t make it. Thanks for the update Stefan. Can’t wait 😂 to see the boys again.